There is nothing like using creativity and imagination to build everything from robots to entire virtual worlds. 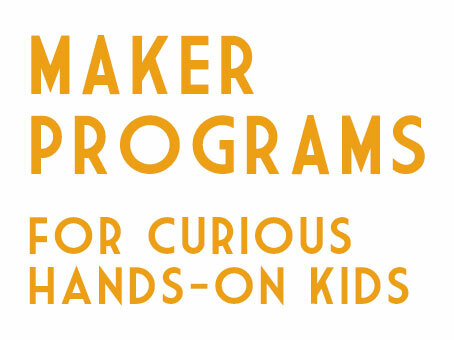 If you are looking for engaging activities for kids – we offer after school and weekend programs that teach the basics of coding, building & making in a fun environment. Choose from themes like video game programming, Minecraft, Inventioneering (kids can turn sketched ideas into working prototypes), and more! We even have a program just for girls to encourage creativity and technical skill development in a positive and supportive environment. 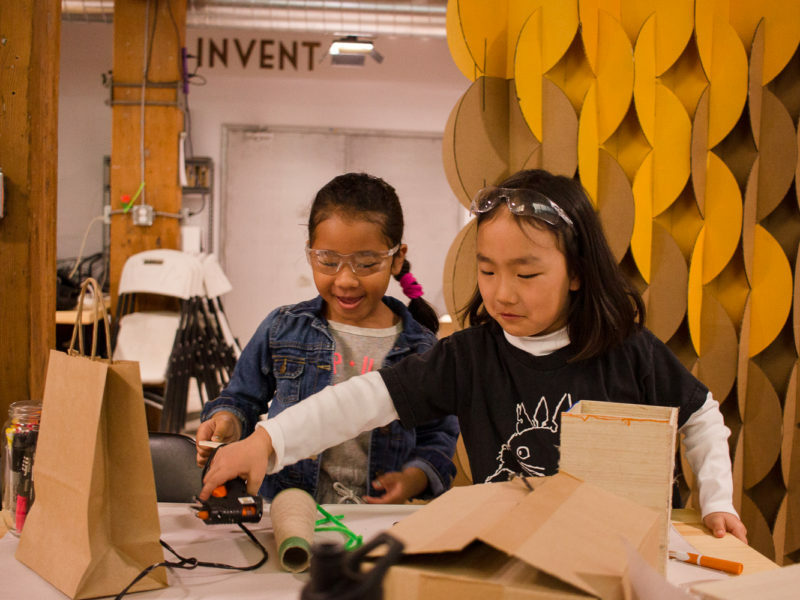 At STEAMLabs, students are the instigators of their own learning, and seek out knowledge and skills (with the guidance of mentors) in order to imagine, design and create projects that interest them. 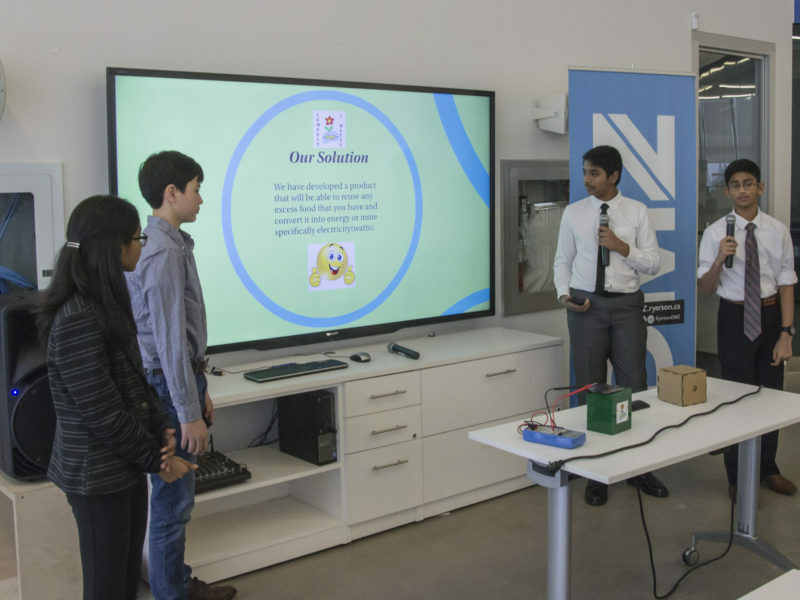 If you prefer projects over textbooks, prototyping over practicing, collaboration over competition and creativity over conformity, then STEAMLabs is for you! Robotic Playgrounds is a hands-on program that explores themes at the intersection of architecture, design and making. 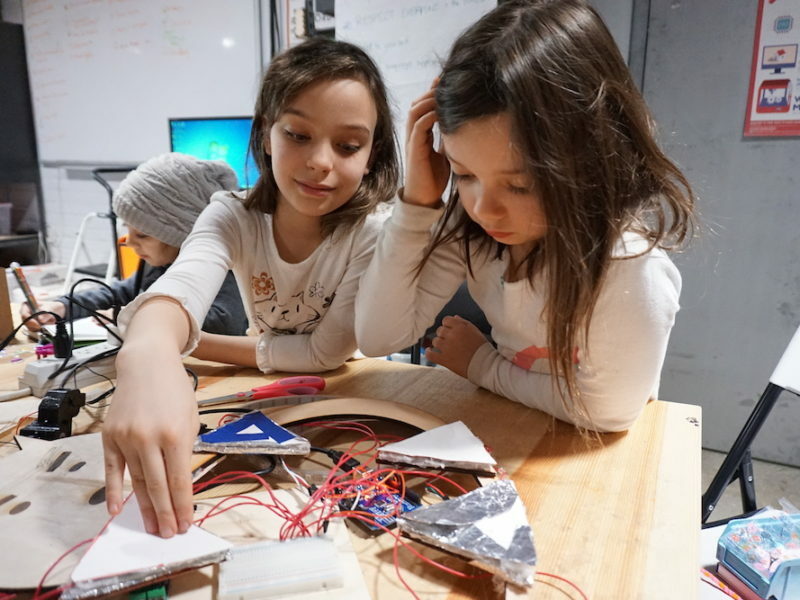 In this program, girls will learn about architecture and installation design to reimagine, remix and recreate green spaces and concrete landscapes based on some of Toronto’s most interesting neighbourhoods. 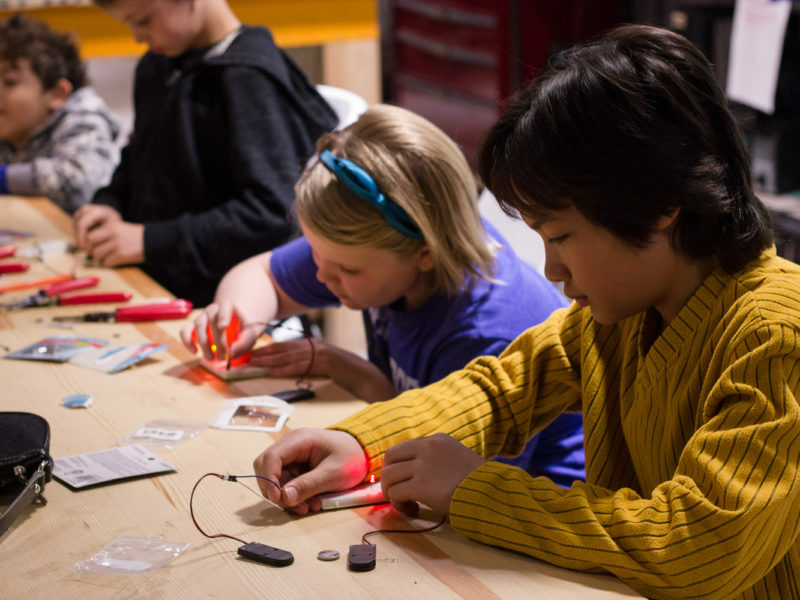 Imagineering is a class that introduces kids to the fundamental skills of making and programming. Students will take part in activities that teach 21st century skills through games, storytelling and of course, making.At the end of the class, students will be given the opportunity to apply these skills to a hands on project using hand tools, craft materials, and digital fabrication tools (3D printers and the laser cutter). By focusing on these proficiencies, students can develop a more permanent understanding of concepts in engineering and computer programming, which translate to making and beyond. find out more & sign up for weekend programs! find out more & sign up for after school programs! Minecraft Pro For Kids uses your child’s already established enthusiasm to extend their creative, collaborative, and problem solving skills. Participants will work alongside mentors to design worlds, build projects and undertake missions. Workshops are driven by the participant’s interests and imaginations – we provide the structure and support to help them learn and grow. Ready to try the next level of game design & programming? Design and program your very own 3D games using the Unity Platform. This professional development platform is used for games and apps such as Pokemon Go – and you can check out more examples of games built on Unity here. Previous participants in our Unity programs have made games such as 3D first-person Pac Man & Capture the Flag. We’ll help you conceptualize, design & code you’re very own game – which means it will include characters, environments, and mechanics that suit you. Everything from unicorns to UFO’s! 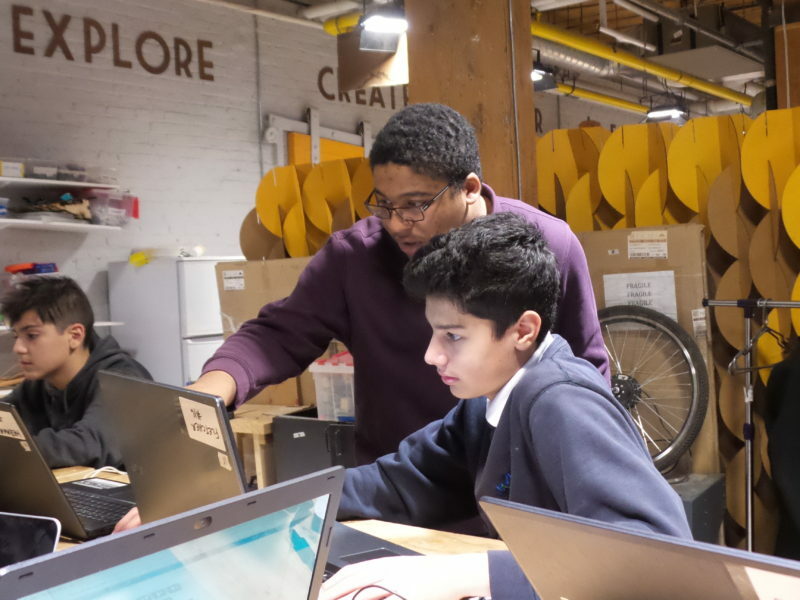 ZerotoStartup is a 13 week program, where youth will discover an enhanced view of their personal strengths while recognizing the importance of working as a team, develop entrepreneurial skills, and ignite a passion for technology. In teams, the youth will ideate, design, develop a product and present their solutions to solve real problems through technology. There are no prerequisites for their level of technology know-how.